Berberis 'Concorde' is an outstanding cultivar notable for its dense growth habit and compact size. 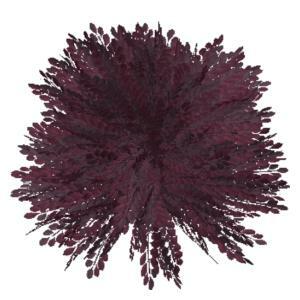 The foliage emerges deep burgundy red and holds it colour throughout the growing season. In the fall the foliage brightens to crimson red before it drops its leaves for the winter. In the spring clusters of small, bright yellow flowers dangle on short stems almost hidden under the foliage. To get the best leaf colour from this plant locate it in full sun. It prefers a site with well drained soil and even moisture but it is adaptable to a broad range of soil conditions. 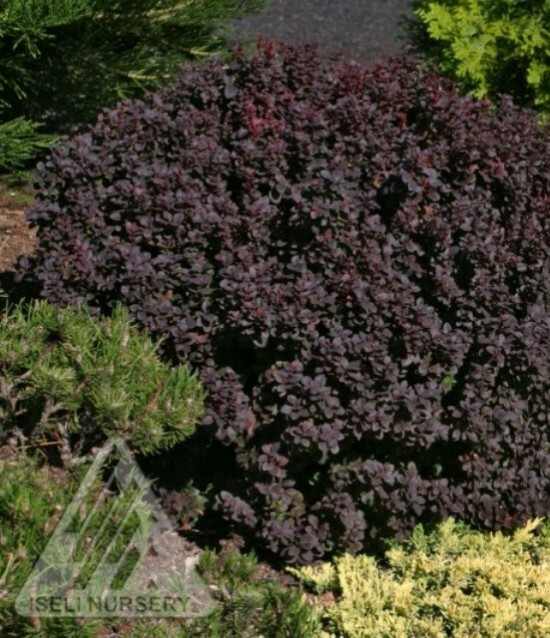 It is drought tolerant once established but will need regular watering in sandy soil. It is very insect and disease resistant. It can be lightly pruned to shape it right after spring flowering but wear gloves!